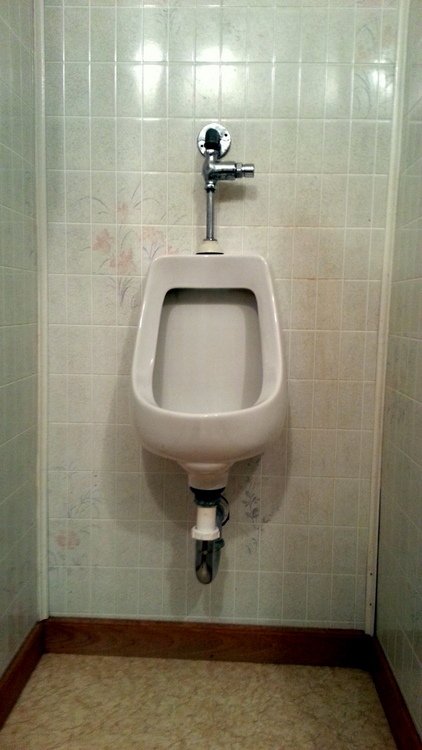 I was at an elderly family member’s home recently and was delighted to see he had a urinal in his bathroom. Who has a urinal in their house? I asked about it and he said he’d put it in some years back, but didn’t have a good reason as to why. I’d like to think his wife got sick of him peeing all over the floor and toilet seat. I couldn’t resist. I had to step up to that badboy and take it for a spin.